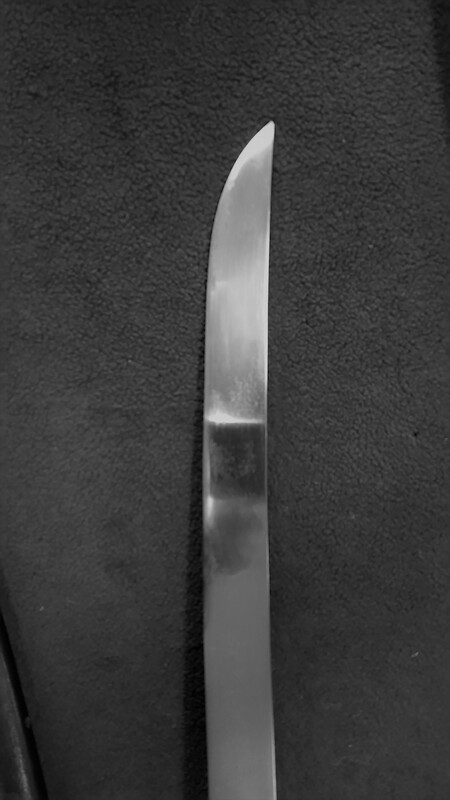 I was looking at various katana and wakizashi yesterday and was confused by one particular wakizashi that was hira-zukuri(flat sided) on one face and shinogi-zukuri on the opposite face. I've not seen this before and initially thought it must have been 'over polished' and lost its shinogi line on the flat side. 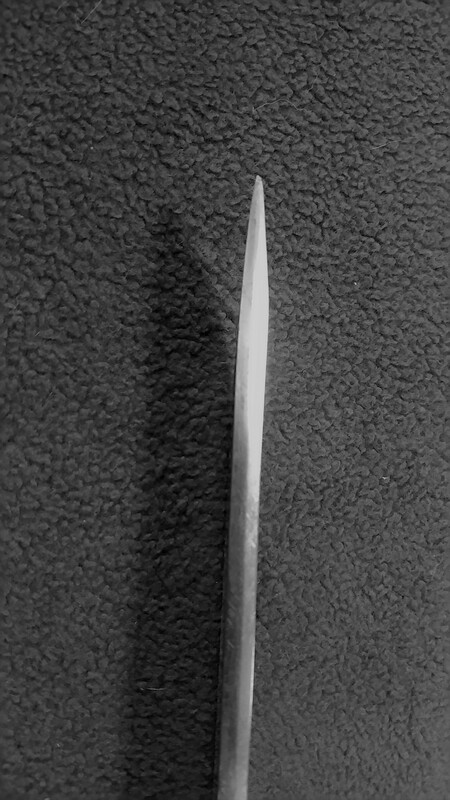 But it looks so purposeful and I wondered if the swordsmith used the blade as a kind of experiment, possibly because of overall dissatisfaction with the blade, or maybe it was an apprentice piece or...?? 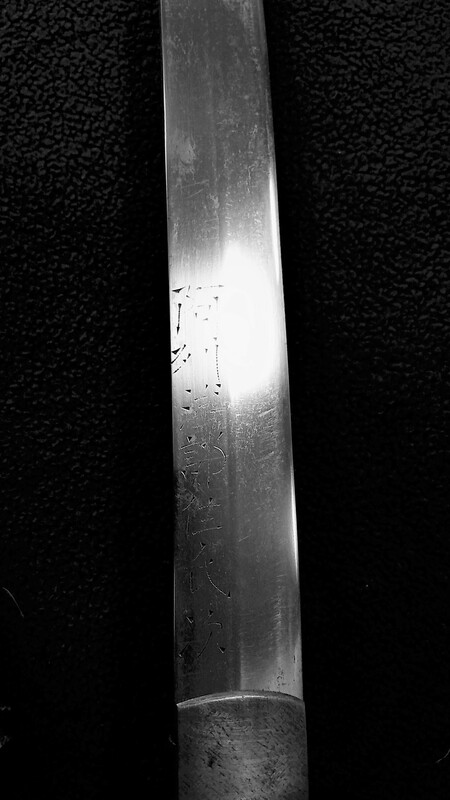 But also, it has been signed on the blade above the machi and not on the nakago. I find it hard to read this type of signature as it is almost 'shorthand' or a style of signature that doesn't have many long strokes and is more 'stylised.' Is there a name for this type of mei? In addition, the mune (back edge) looks to have been possibly Iori-mune but is basically Kaku-mune or even Maru-mune but is not consistent along its length. Sorry, photos not that good - didn't have time or equipment and lighting not very good. 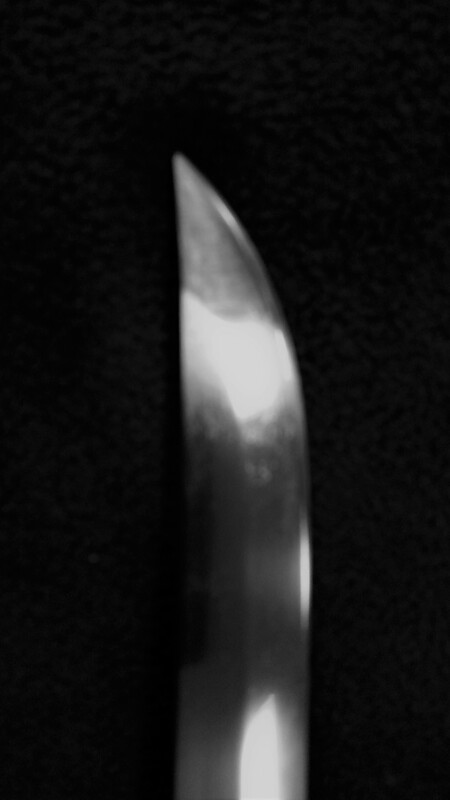 Just can't get my head round the fact of the blade being so 'odd' - anyone any ideas or seen anything like this before? #1Submitted by Candleabra1959 on Wed, 2018-10-03 13:01. Have added another image - have inadvertently missed off a kanji/character - there should be seven. I can only identify 4 kanji - even then, not sure if I'm correct?